Illustrator: Book has just a tiny bit of bumping to head and tail of spine. Gift inscription on ffep. No other marks. Binding is sound. No date given; ca. late 1970's to early 1980's. 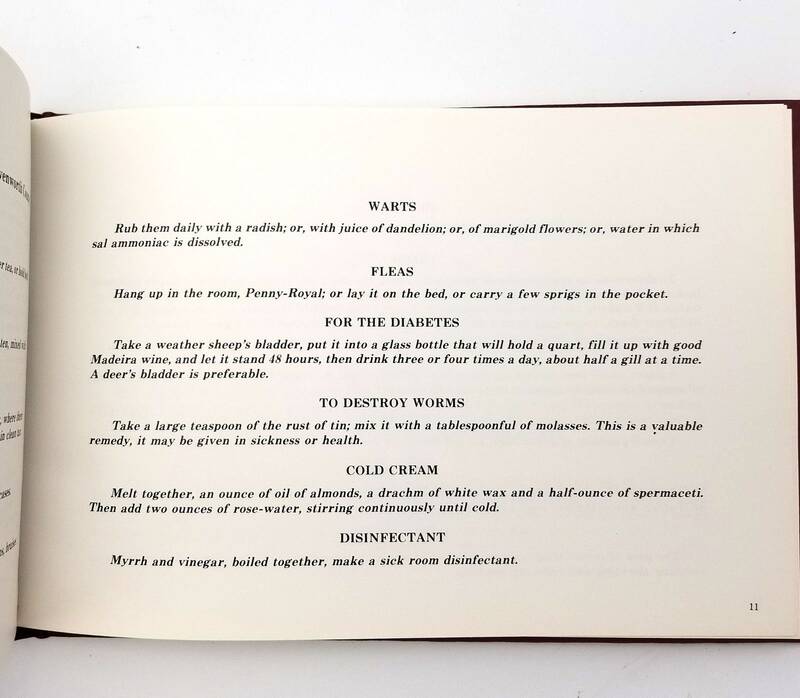 A collection of recipes, both old and new as well as many home remedies from more than a century past. 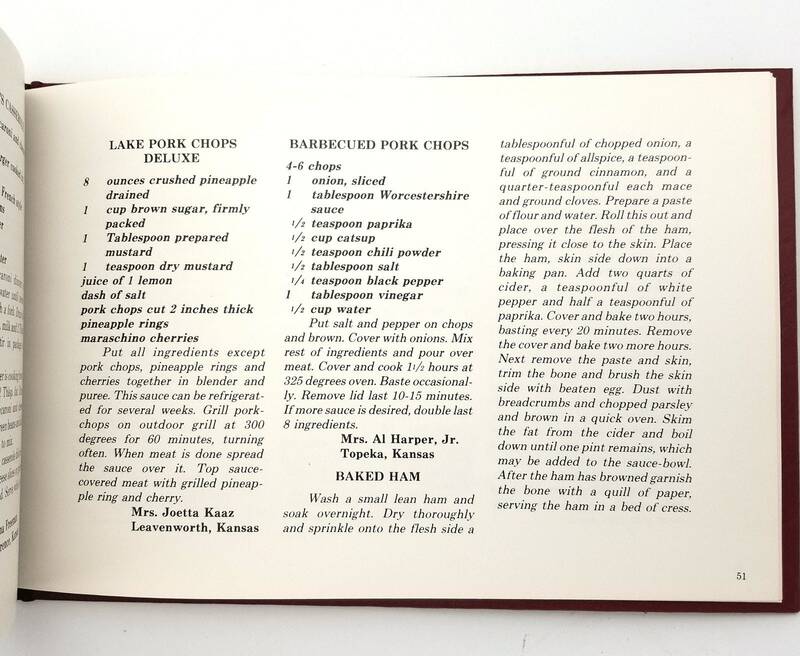 One of the recipes is from an Army Cook manual to feed 60 men and another is from the Soldier's Home in Leavenworth to serve 1000. 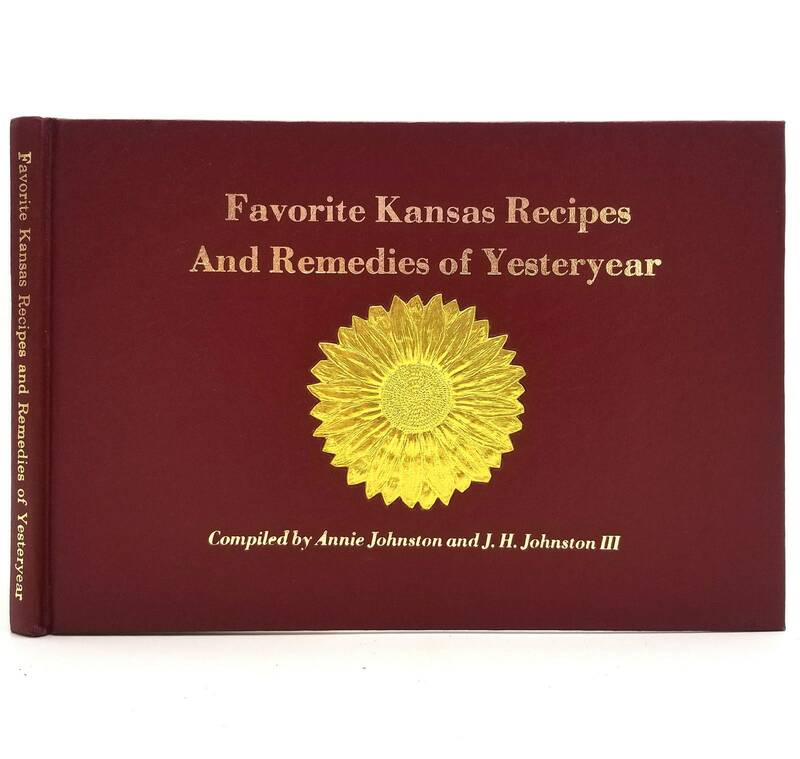 Many of the recipes are from the Leavenworth County Historical Society's museum files.